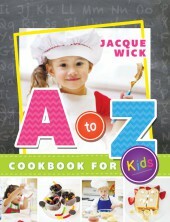 I love A-Z Cookbook for Kids! It has a clever layout and approach to engage the young cook’s mind with pictures that are definitely “kid friendly”. Liz Sirrine Chef and Owner of award winning Restaurant Rancho de Tia Rosa’s Mesa, Arizona. A-Z Cooking for Kids is absolutely adorable! Not only does it have fun recipes but also loving advice for a fun time cooking together as a family. 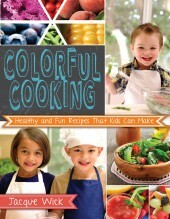 Jacque is a wonderful teacher and introduces kids to the world of cooking in an exciting way that kids can understand.